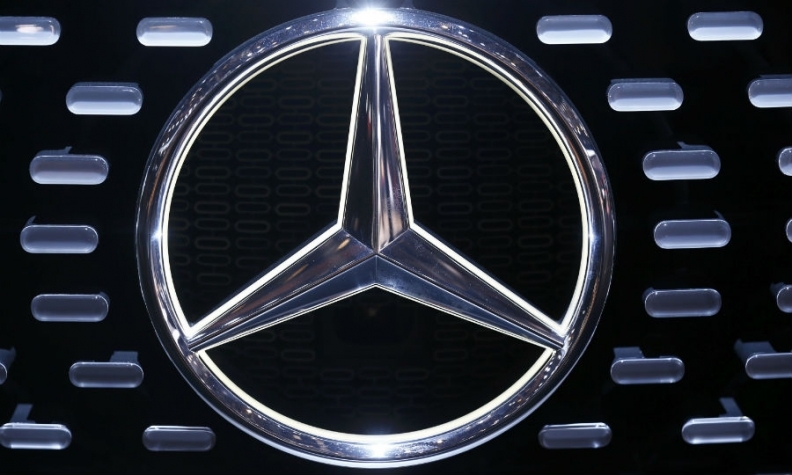 MUNICH -- Daimler was ordered to recall 774,000 vehicles in Europe after two meetings with Germany’s top regulator failed to allay concerns about irregularities in the Mercedes-Benz maker’s diesel emissions. The automaker will upgrade engine software in Mercedes Vito vans as well as the GLC SUV and Mercedes C-class sedan, Transport Minister Andreas Scheuer said Monday in a statement from Berlin, after meeting with Daimler CEO Dieter Zetsche for a second time in two weeks. The government is ordering “an immediate formal recall because of prohibited shutoff devices,” Scheuer said. Germany had ratcheted up pressure on Daimler to specify models and the number of vehicles that needed recalling to adjust their exhaust systems, criticizing the company’s piecemeal response to concerns about excessive pollution from its diesel vehicles. The recall comes nearly three years after Volkswagen’s cheating scandal. Unlike VW, which admitted duping official emissions tests and faces costs of some 26 billion euros ($31 billion) in fines, buybacks and recalls globally, Daimler has rejected wrongdoing. As the diesel fallout rumbles on, German prosecutors also on Monday named Rupert Stadler, head of VW’s Audi unit, a suspect in the cheating scandal. Germany’s automotive regulator KBA found five unapproved software functions in Daimler’s Euro 6 diesel engines, affecting as many as 1 million vehicles in Germany, Bild am Sonntag reported Sunday. This follows the KBA instructing the automaker in May to recall 4,923 Vito vans worldwide that don’t comply with regulations. Daimler at the time said it would go to court if necessary to overturn the order. The models aren’t currently available in the U.S., according to the brand’s U.S. site. Daimler already voluntarily recalled some 3 million vehicles in the EU last year, alongside similar moves by VW and BMW, for software updates to improve emissions performance. Liberal interpretations of loose European Union rules on car emissions, ultimately resulting in many cities failing EU pollution limits, have led to a number of spats between authorities and automakers. Daimler relies on diesel vehicles for profit and to lower the carbon-dioxide output of its vehicles to meet environmental regulations. Scheuer had threatened the automaker with as much as 3.75 billion euros in penalties related to diesel-engine emissions irregularities, Spiegel magazine reported following Zetsche’s earlier meeting. For context, during previous standoffs on diesel practices, the ministry failed to make much headway on holding automakers accountable. In 2016, Opel, then owned by General Motors, didn’t end up facing sanctions after then-Transport Minister Alexander Dobrindt raised doubts about the legality of devices used in its engine software. The same year, Fiat Chrysler Automobiles snubbed Dobrindt’s request for a meeting to discuss emissions. The country’s automotive industry has been under intense scrutiny since Volkswagen revealed in September 2015 it had rigged as many as 11 million diesel-powered cars to cheat on official emissions tests. Municipalities, battling excessive levels of smog-inducing nitrogen oxide mainly produced by diesel vehicles, have been considering bans. Hamburg made the first move last month with restrictions on two streets. Mercedes recalled more than 3 million cars across Europe almost a year ago for a software patch for their emissions systems.